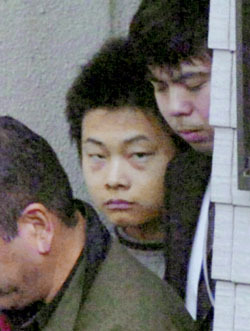 The 21-year-old cram school student under arrest in the killing and dismemberment of his sister at their home in Tokyo’s Shibuya Ward apparently beat her with a blunt object, choked her and drowned her, and then tidied up the bloodied crime scene, although he left her cut-up corpse in bags in his room, police sources said Friday. Blood from the victim, junior college student Azumi Muto, 20, was found in the room of the suspect, her brother, Yuki, and on the walls in the hallway of their three-story house. It is believed the brother, who has confessed, started the carnage in his room, then dragged his bleeding sister to the bathroom, where he dismembered her, the sources said. Investigators detected signs of pressure around the victim’s neck, injuries to the head caused by a strong impact and water in her lungs, the sources said. Her face also bore a number of bruises. The victim was cut into more than 10 pieces, with her head, limbs and other parts found by her mother, a dentist, in four plastic bags in a closet and cabinet in Muto’s third-floor room Wednesday night. The suspect, an aspiring dentist, reportedly told his father, also a dentist, sometime last weekend that he placed an empty aquarium on top of the cabinet and told him there may be a foul odor because a small shark he had been given by a friend had died. The saw and kitchen knife believed used in the dismemberment had been cleaned of bloodstains. The saw was found in the suspect’s room and the knife was in the kitchen. The suspect has told investigators that he and his sister avoided each other and never spoke over the last few years, the sources said. “I don’t remember when it started, but we did not get along,” the sources quoted him as saying. The siblings and their 23-year-old brother, a dental student, lived in the home with their parents. The first floor houses the father’s dental clinic. The suspect earlier told police he got angry because his sister criticized his poor academic performance on Dec. 30. When she taunted him by saying that she had a dream but he didn’t, “I thought she was saying that I am hopeless no matter how hard I study,” the sources quoted him as saying. Police have not determined when the victim was killed, but believe her body was dismembered on Dec. 30. The victim’s mother told police she spoke with her daughter on the afternoon of Dec. 30 through the intercom at the front entrance of their house. The mother then left for a trip with her older son the same afternoon and the father left home New Year’s Eve to join them. The three returned home Tuesday night. The suspect was quoted by the sources as telling his father he did not know where his sister was when asked. 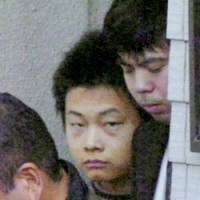 After his arrest Thursday at his cram school in Hayama, Kanagawa Prefecture, where he was supposed to be attending a 12-day retreat, the suspect confessed, the Metropolitan Police Department said.